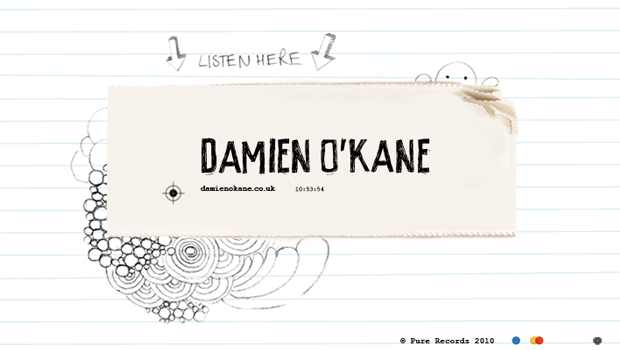 Damien O’Kane has recently been taken on by Pure Records. He has been performing for years with his family and various bands but Summer Hill, produced by Pure Records is his first solo album. 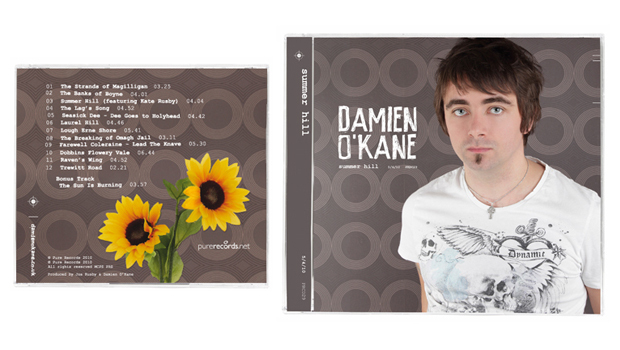 Pure Records needed a brand look for Damien as a solo performer and we were happy to oblige! This doodley, cheeky style developed after many meetings with both Damien and Pure Records and suits his playful music and mischievous nature! Cover of Damien’s debut album Summer Hill with stunning photography by Sarah Photo Girl. 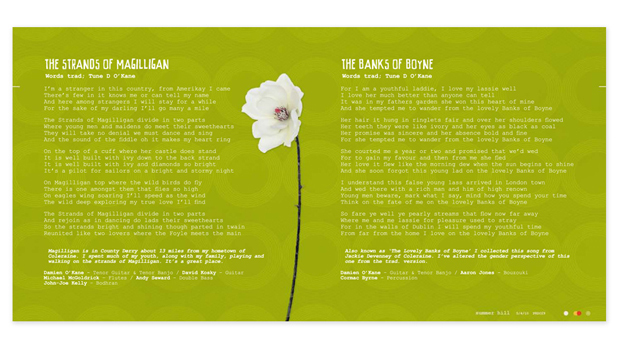 You can listen to a few snippets on his website, and buy his album from the Pure Records shop. 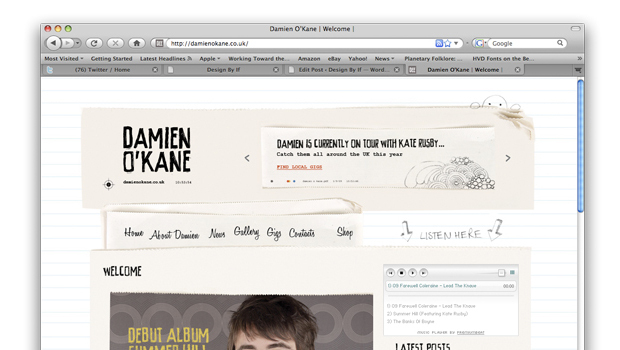 With help from one of our web guru’s Tom Pitts we built Damien a shiny new website. It was important that Damien, Emma and other colleagues at Pure Records were able to easily update and amend the website on a daily basis so each have their own log in codes and now have full control of the site. They are able to add info to all the pages, add gigs dates, gallery items and update images in the homepage slidebar and media player whenever they like. This means that they are not always having to pay for adjustments to the site, and do not need to wait for a middleman to get the work done saving them both time and money.